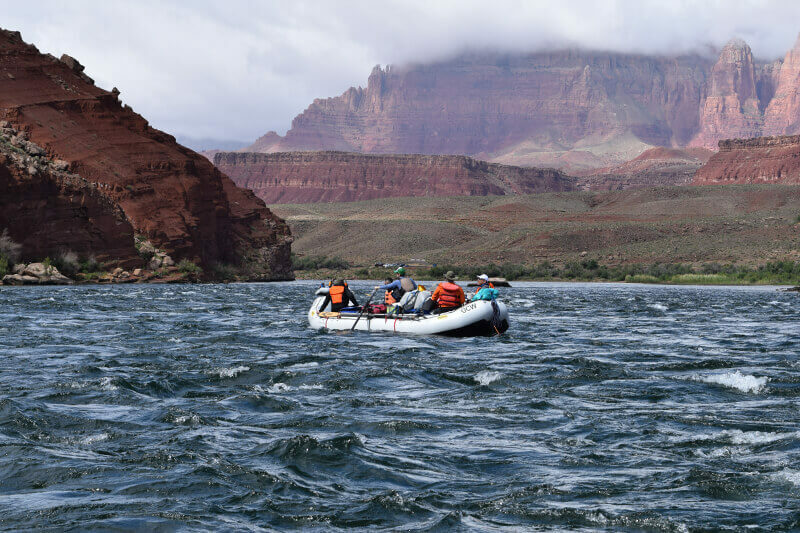 The water in the Grand Canyon gets backed up behind Glen Canyon Dam, some 14 miles upriver from where most of our trips start at Lees Ferry. A lot of the sediment that used to flow freely through the Canyon settles down to the bottom of the lake and gets deposited behind the dam. So generally, the water released from the dam comes out mostly clear. There are quite a few tributaries below the dam that can change the water color, as they flush sediment (that’s just a fancy word for “dirt”) of their own into the Colorado. 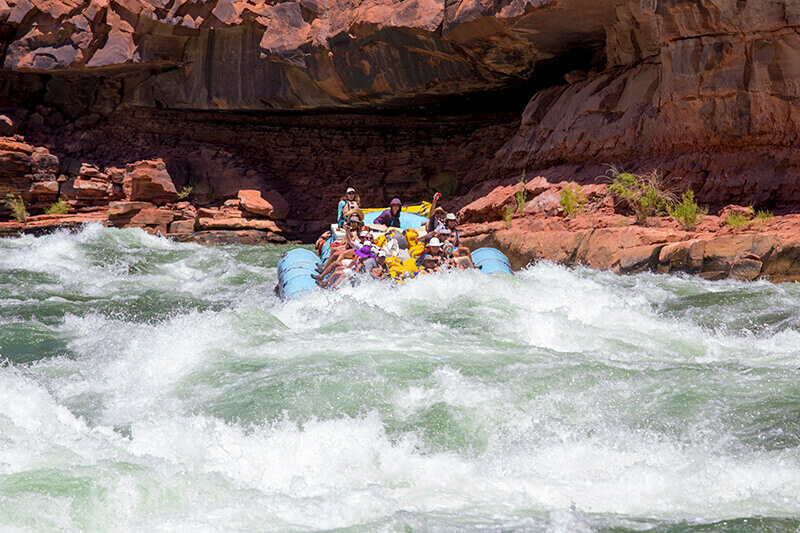 The first is the Paria River. 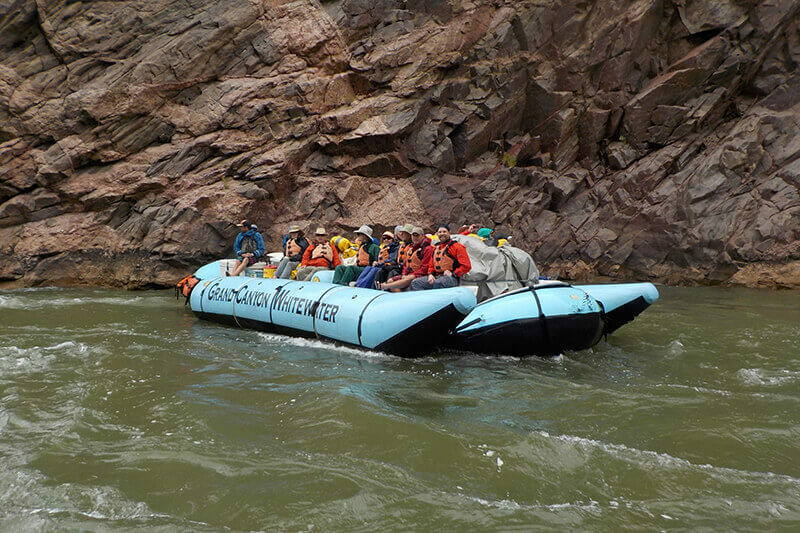 You’ll cross the Paria in the first few minutes of rafting (it’ll be on river right). 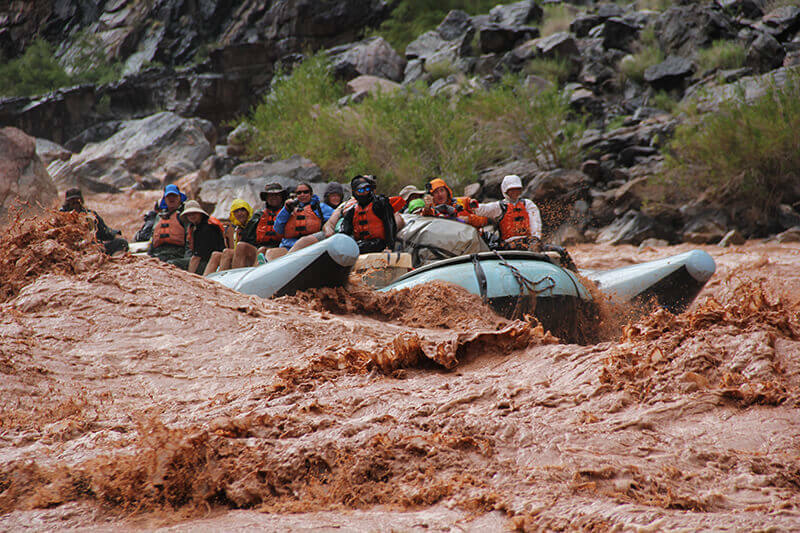 The Paria drainage runs up through Northern Arizona all the way to Utah. 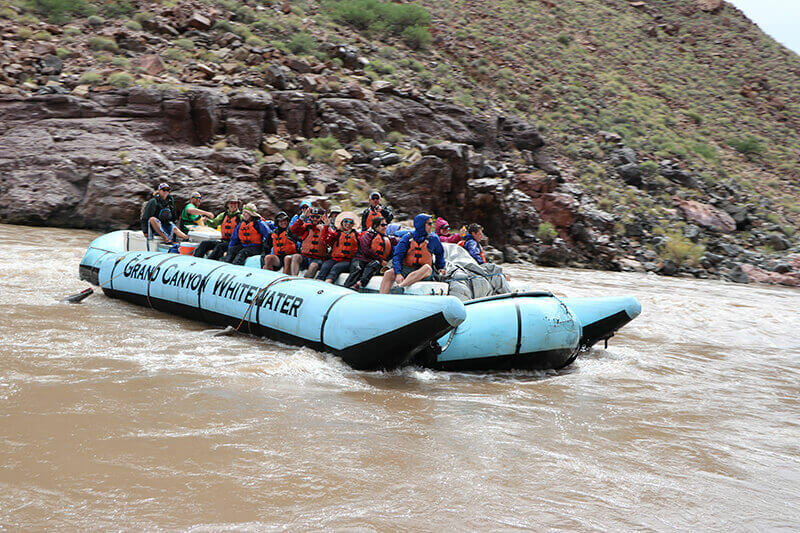 If the Paria is flowing, well, then chances are your clear/green river will turn brown in a hurry. 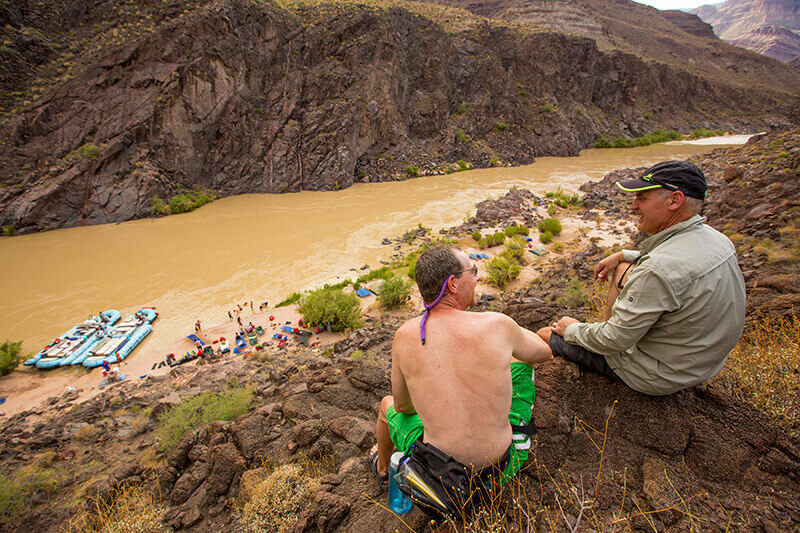 The next major tributary is the Little Colorado River, or LCR. The LCR can run a bright, almost Caribbean blue color. 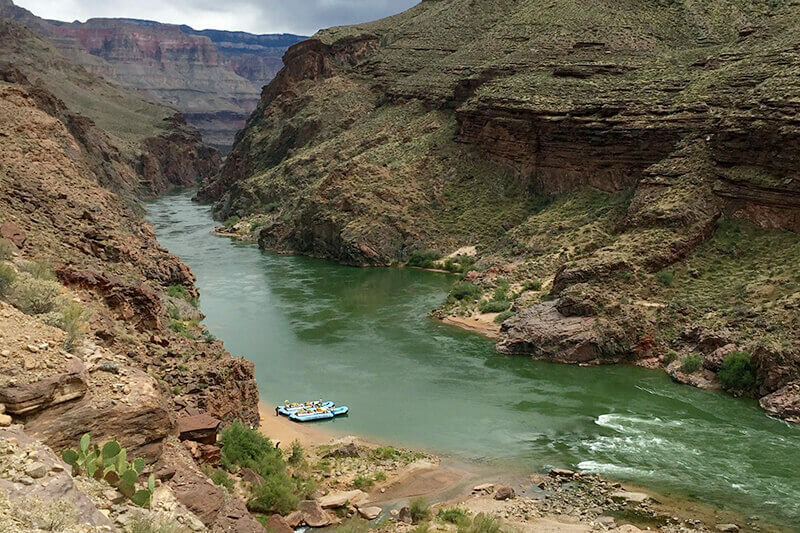 But if there has been any rain upstream and a bunch of desert runoff is coursing down the LC, it’ll turn brown, making the main channel of the Colorado turn brown as well. The drainage for the LCR stretches east through Arizona, mostly through the Navajo Nation. 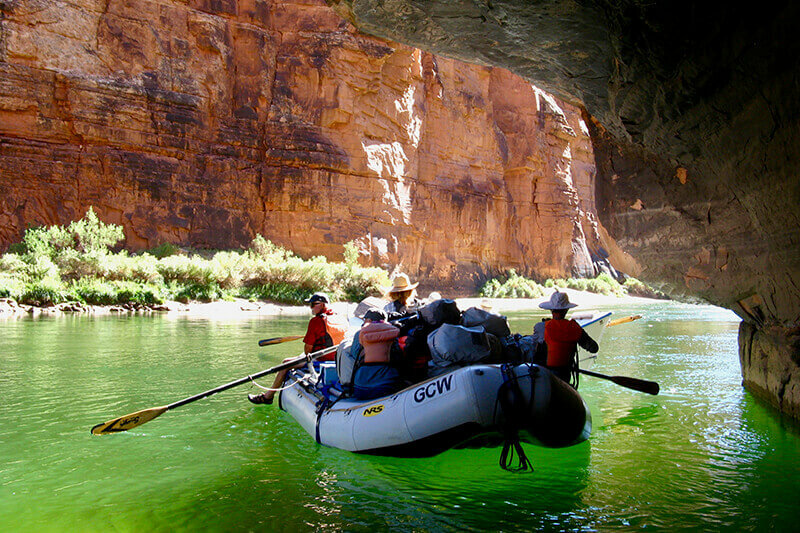 On your river trip you could go to sleep with a clear/green river and very well wake up with a brown one. Storm systems hundreds of miles away can affect this dynamic ecosystem. Just remember, brown, red, clear, green, purple or blue: you’ll have fun no matter the color. Emerald green in the upper Canyon. 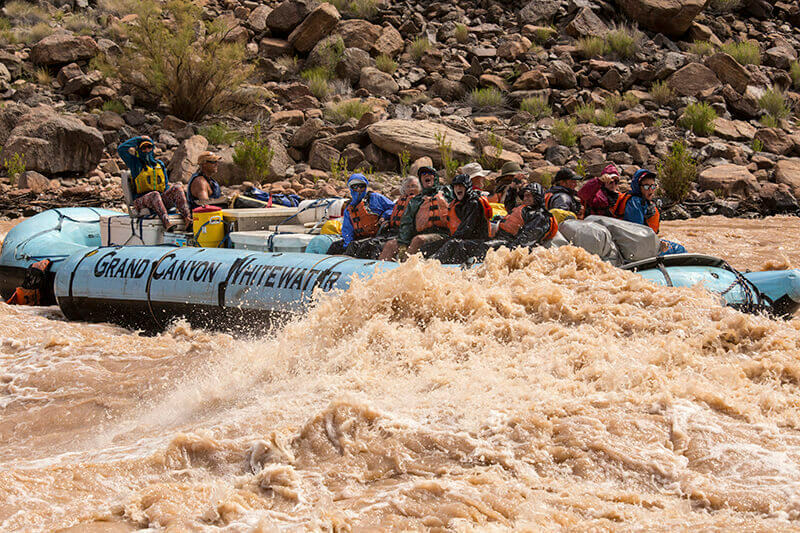 A great overview of the river, running brown. House Rock rapid in the upper section. 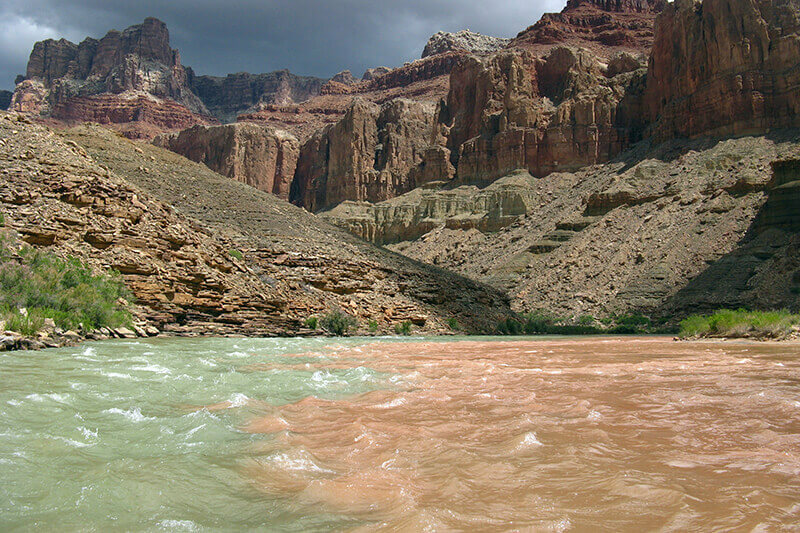 The Little Colorado River (right) mixing with the main channel of the Colorado (left). 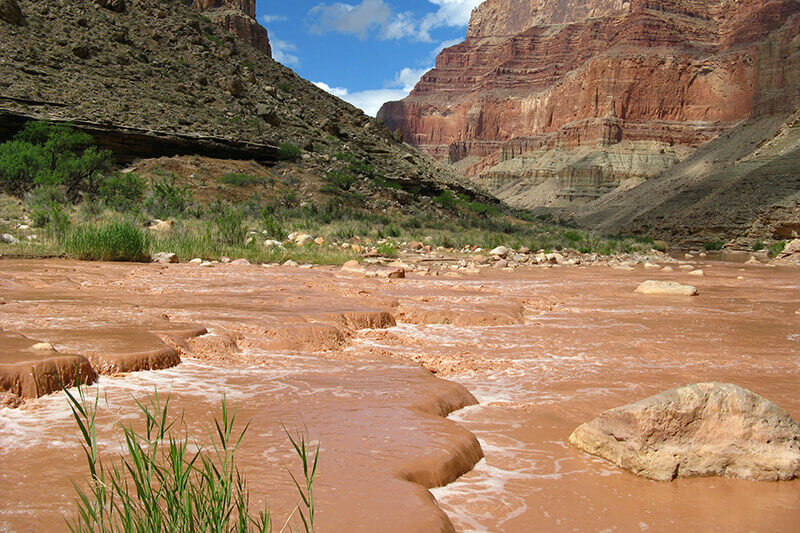 The Little Colorado River when flowing brown. Another nice overview of a more emerald color river. Motor boat in the lower section of the river. This is a great example of that 'chocolate milk' river. Clear water at Lees Ferry.